Auction first of several this year By Joseph Leahy in São Paulo Brazil raised a record R$2.8bn in its first auction of licences for oil exploration blocks in five years, with oil majors including ExxonMobil, Chevron and BP winning blocks as well as BG Group of the UK. The auction, which will help reinvigorate Brazil s oil industry after years of delays, marks the return of Exxon to the country in partnership with Brazilian billionaire Eike Batista. “After being without rounds since 2008, yesterday marked the comeback of licensing activity in Brazil,” Credit Suisse said in an analyst note. Brazil’s oil and gas sector is seen as one of the most promising frontiers for the industry after the discovery of the giant “pre-salt” fields off the southeast coast. The auction this week, the first of several expected this year, comes as the discovery of shale gas is expected to lead to the US becoming a net exporter. In spite of these concerns, there was intense competition this week, with 142 of the 289 blocks offered sold and companies paying large premiums over the minimum offer price. “Of the total, 39 companies from 12 countries participated,” said the industry regulator, ANP, the national oil, natural gas and biofuels agency. The blocks auctioned this week included offshore and onshore sectors. While none were pre-salt, which are expected to be auctioned later this year, the blocks sold the so-called equatorial margin, a relatively unexplored area off the tropical north and northeast coasts. Total, BP and Brazilian national oil company Petrobras were the main bidders in this region. Petrobras spent the most, paying R$539.9m for participation in 35 blocks, followed by BG Group with R$415.5m for 10 and Mr Batista’s OGX with R$376m for 13. Among the oil majors, Total committed R$371.9m for 10 blocks, BP R$261.3m for 8, Exxon R$63.9m for 2 and Chevron R$31.4m for one. 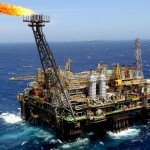 Australian mining group BHP Billiton entered Brazil’s oil sector for the first time, buying two blocks for R$30.2m. Repsol, Shell and Conoco were absent. The aggressive participation of Mr Batista surprised many given the problems at his EBX Group. OGX has consistently underperformed market expectations after starting production last year, leading to a 90 per cent fall in its stock. “OGX strongly rebuilding its exploration portfolio is desirable, but a $192m spend . . . stretches the balance sheet,” Credit Suisse said. For Brazil’s government, the strong demand represents a thumbs-up for its oil sector at a time when many had questioned whether it would continue to attract the desired investment. The auction also included requirements for local content at more than 62 per cent for the exploration stage and nearly 76 per cent for the development phase of the fields.